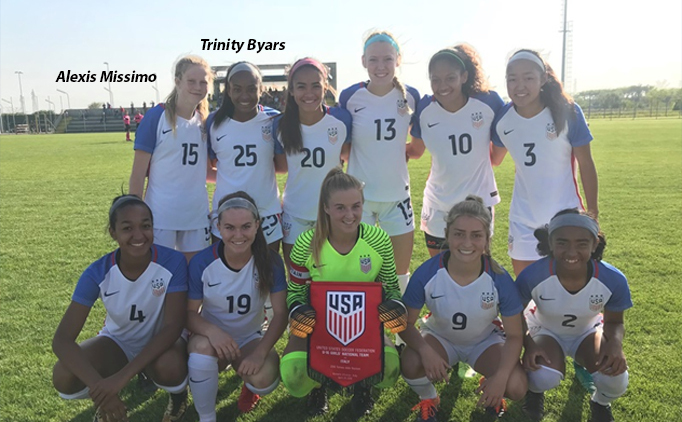 FRISCO, Texas (May 16, 2018) – North Texas Soccer players Alexis Missimo (Southlake, Texas) and Trinity Byars (Richardson, Texas) combined for nine goals and four assists in four games as the U.S. Soccer Under-17 Women’s National Team won the 3rd U-17 Women’s Torneo Delle Nazioni. This marks the third year in a row the Torneo Delle Nazioni has offered a women’s bracket, and the second year in a row in which the United States has claimed the championship. Byars led the way for the red, white and blue with five goals, which included a hat trick in a 5-0 win against Italy, while Missimo was not far behind as she tied for second on the team with four goals to go with three assists. Both players appeared in all four matches for the U-17 USWNT with Missimo earning three starts and Byars earning two. Both players started the final match, a 5-0 win against Japan. Missimo found the back of the net in every game of the tournament. Byars and Missimo won the 2016 US Youth Soccer National Championships in Frisco, Texas with Solar Chelsea Red. In addition to becoming National Champions, Solar has won two US Youth Soccer North Texas State Cup titles and the 2016 US Youth Soccer Region III Championships. 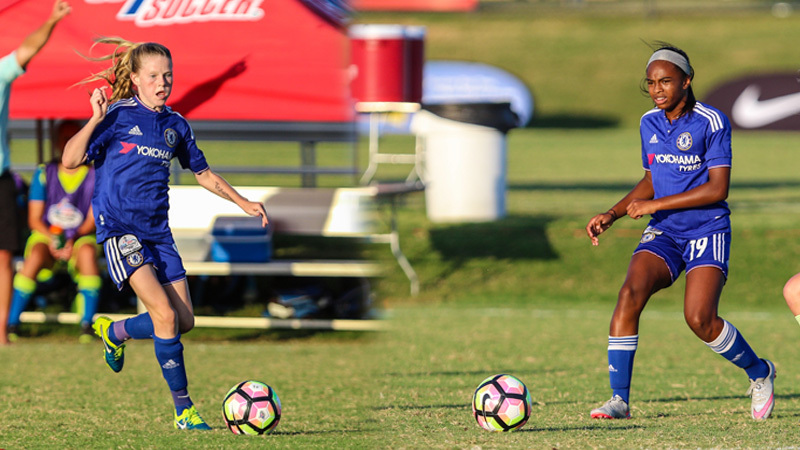 Both were selected to the 2016 National Championships Best XI team with Byars tying fellow U-17 player Reilyn Turner for the most goals in the tournament with four.